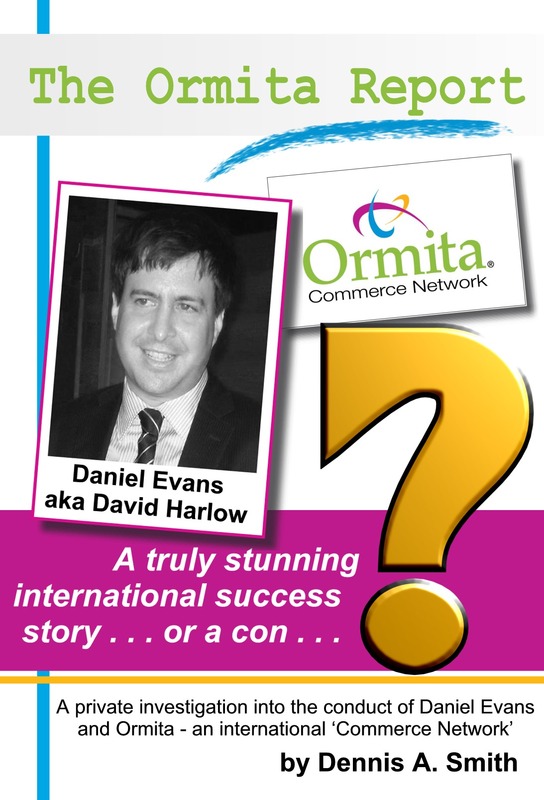 Over the next few months I am completing a private investigation into the affairs of Australian businessman Daniel Evans (aka David Harlow) and his various Ormita companies. The Ormita Report is an investigation into the conduct and performance of Daniel Evans, and the nature of his international business operation, Ormita – what he calls an international ‘commerce network’. It’s not a witch-hunt, more a continuation of an investigation that I started a while back and I will be publishing the findings on this blog. Lord willing, I will be summarising my take in an eBook to be released in Q1 2014. In a nutshell, lots of people have contacted me about Daniel and there appears to be a trail of trauma following him around the globe. It’s definitely time to shed some more light on his activities, hopefully also hearing it from the horse’s mouth too, so-to-speak. David James Anthony Harlow (b. 17 August 1976 in Australia) changed his name to Daniel Mensi Evans (13 August 2005) shortly after he was found guilty of a series of various fraud charges in New Zealand. For the last few years he has been traversing the world selling agencies for his Ormita brand of companies and seems to have hit the big time, certainly according to his various websites. He has however left a trail of trauma wherever he has been and from all accounts all is certainly not what we are led to believe. Some love the guy and support him to the hilt (especially with his campaign against IRTA) but he’s also viewed as a con artist by many, especially those that have lost money as a result of his business conduct. Daniel though definitely doesn’t see things that way. Anyone attempting to take him on seems to cop a lot of unwelcome flak as he can respond violently to adversity or any threats to his unique take on life. Emotional angry outbursts, threats of legal action and worse, inapproprate and abusive communications, personal attacks, vindictiveness and usually all at the upper end of the scale are to be expected with anyone who crosses him. I know this, from personal experience. Daniel is skilled at obfuscating efforts to ‘nail him’ and I’m aware of previous investigations that have been abandoned or ‘gone West’ inexplicably. While he is highly talented at convincing people to part with their money and has been quite successful at evading charges for a decade or so, he has left a trail of evidence mainly through failure to plan his misadventures properly. This makes me currently think that he is not your regular high-class scheming conniving criminal, but more of a talented, passionate but a greatly misguided gentleman with some ‘issues’ of a psychiatric nature. I understand that he has spent (or does spend) time with psychiatric institutions. I hope to get to the bottom of it all with my investigation. As far as I have seen thus far, his modus operandii is to build a digital presence with grandure; claiming large numbers, large turnover, large opportunities, large performance and large profits; using false information and implying strong relationships with many who have had fleeting relationships with himself; then convincing people to ‘join the programme’, or to ‘buy from him’ through highly believable personal presentations. 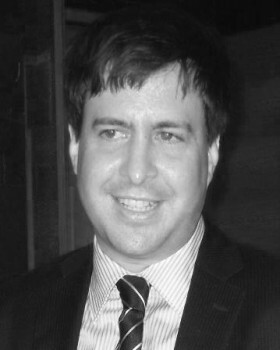 Many people who classify themselves as ‘victims’ later report an unease at some factors in the early stages of engagement but his professionalism, demeanour and confidence in his personal presentations addresses their concerns until they have signed and/or paid, later considering their investments or commitments to be unwise. Professionally, as far as I can tell from information to hand, Daniel aims to be seen as a thought leader (he is definitely that) and a major player in the barter industry (this is somewhat questionable). Some of his more successful cons have related to misrepresentions to international organisations – some of them successful, but some of them not. The Ormita Report is an investigation into the conduct and performance of Daniel Evans, and the nature of his international business operation, Ormita – what he calls an international ‘Commerce Network’. His operations are almost always a one-man-band show, sometimes using multiple false identities and impersonations, and leveraging relationships with his friends, staff and partners at the time for his own advantage. While he is often ‘the loveliest guy on the planet’, it has been my observation that most of his relationships are shortlived and end in conflict. The result is an extraordinary whirlwind of information, sometimes mis-information that on the surface seems plausible (especially when spoken by Daniel himself); that cannot readily be proven false (without causing the possibility of a feared relationship breakdown); is a warped reality or often convincing outright lies told to the face. Investors seem to find themselves caught up in the business opportunity of the moment and as far as I can tell so far many have regreted the decision to engage with him. I hope to quantify this annecdotal take on things as the investigation continues. Daniel first came to my attention over ten years ago when he came to New Zealand and set up a new trading network that he called Ozone. It was a small but moderately successful trade exchange that had serious issues when (under his leadership) it started to grow and seek investors. He completed extensive in-depth and ongoing research of the barter and mutual credit industry and built himself an enormous theoretical knowledge of mutual credit systems which he has put to good use gaining practical experience throughout the 2000s. He’s a veritable magpie for barter and related reports and information. His quest for knowledge in the reciprocal trade industry could perhaps even be seen as an infatuation. While his personal conduct has at times breached well-accepted ethical norms and laws, I recognise that he does have some very good ideas, a ton of experience and advice worth listening to for others in the trade exchange and reciprocal trade business. For example, I endorse his take on the often dubious barter industry practice of hidden deficit spending, although I disapprove of his campaign to undermine IRTA and their leadership. My previous investigation into the affairs of Daniel and New Zealand company Ozone dovetailed with a strange sequence of events where I interviewed Daniel personally and was actively involved in a special shareholders’ meeting of his failed New Zealand company Ozone. Mixed up in the centre of this all I experienced first hand the extraordinary ‘Daniel Evans treatment’ receiving a tirade of abuse and an amateurish (ultimately futile) commercial sabotage attempt on my core business. It was from this experience that I finally determined that Daniel clearly has some ‘issues’ that seem to have wired him differently from the majority. (I will write more on his idiosyncracies and personal uniqueness in the Report). Since writing my post “Warning: XO, Ozone, Ormita etc“, I have noted its popularity and that its Search Engine ranking is quite high. This, combined with referrals from within the industry has resulted in people coming to me with information about Ormita and their various reports on Daniel’s business conduct and personal behaviour. It has now reached a point that I feel I would be actually doing the wrong thing if I remained silent. I have no immediate family around me. I live in the middle of a plantation in the middle of the small South Pacific Islands of Samoa. I have nothing to lose and everything to gain, especially if I speak the truth. Daniel can threaten me or my family as much as he likes, but the food (coconuts) still fall from the sky around me, day and night! I have no personal bank account and virtually no personal posessions. My personal possessions consist of clothes and jandals worth a total of $100.00USD if that! He can sue me or threaten to sue me and I’ll readily welcome the exposure any legal case brings. If he sues me and somehow wins, I’ll eat my hat and congratulate him! I have no fear of the truth and live to speak it. People who live with smoke and mirrors however fear exposure more than anything in the world. By speaking about what I know and find out about Daniel I will know that future investors have had the opportunity to peruse factual information about him prior to making their investments. I believe that I know and understand the man, whereas many do not. Believe it or not, while his conduct at times has been a disgrace and has hurt a large number of people, he can be the consumate gentleman, kindly spoken and a great guy to talk with – when ‘sane’. It might sound strange to some, but I have no interest in hurting the guy – I just want the truth to out. Yes, I know that many want to sue him and are using me as a sounding board and source of information in order to sue him, but that is their business, not mine. I have the time and interest in sussing the true situation out. I completed the original confidential report to the shareholders of failed company Ozone in New Zealand and am very happy to now update that report and present the latest developments. I’m motivated to deliver! I am a man of principle, can’t be bought, equal to the task and never give up. I am using investigative journalists from around the world to conduct interviews with those who have had experiencs with him – as employees, partners, investors or having done business in some way. I have been and will continue to collate information. I will report factual information with my weekly commentary under dedicated website for ‘The Ormita Report‘, which will be live in a couple of days. Initial responses to hand do not paint a very rosy picture of the Ormita business. There is no question in my mind that the actual Ormita business is far from what Daniel presents it to be. How much different it is time will tell. Prior to making The Ormita Report public, I contacted Daniel, and advised him that I would be completing this investigation, blogging about him and Ormita and invited him to respond to any issue that he wished to. I have undertaken to give him full right of reply as per my Terms and assured him that I would correct any errors of fact in a timely manner. I provided a list of key questions and gave him the opportunity to identify issues or information that he considers inappropriate for publication. Some have questioned my prior notification to Daniel and my willingness to engage with him. To the challenge that I would openly engage with Daniel rather than try to hit him with a big stick from behind, I respond that even Christ spoke to His enemies, the woman caught in adultery and the thieves of this world, giving them a chance. I don’t care what Daniel has done or does, I will give him the right of reply just the same as anyone else, and I believe that this is just simple courtesy any professional blogger should extend. I will of course consider all communications publishable unless confidentiality is agreed before it is given to me. To the issue of prior notification also, I would wish that if anyone was writing about me, that they would contact me first and get my take on things so as to have a better chance to present the facts. Too often we assume things or only get one side of the story. I don’t want to fall into that trap and to give others cause to claim unfairness or improprietry. Of course when a man who has misrepresented things repeatedly in the past presents a story today I do not need to believe it all, but if he lies to me again then I simply have more evidence of his character. People reveal much when they lie, for it reveals their real fears and hidden agendas. We also create more evidence of deliberate intent to mislead when we attempt to cover-up our deceptions. On the other hand if he explains things to my satisfaction then I will also report that. Some have questioned that I would even undertake further investigation, wondering whether it is I who have a screw loose. Maybe so, but that’s just the way it is. We are not all wired the same, eh?! Apart from the publication of an eBook/report summarising my investigations, there is no end-game for me. Some out there want to crucify Daniel, and preferably in the most painful way possible! Others would just love him to go away and leave them alone. Others want to get their money back, close his business down or have other commercial objectives. I have none of that. I’m not out to ‘get him’ or to ‘hurt him’ and I ALWAYS make that VERY clear to everyone I engage with in this investigation. I simply want to reveal the truth, for if there is one thing that Daniel does that p*sses me off, it is the deception that he undertakes to achieve his commercial and personal objectives. I don’t give two hoots if he makes a million bucks an hour off his business schemes but the minute that he deceives in order to feather his own nest, then I am very interested. I DO have sympathy for business people who have lost money at his hands, but they have obviously invested poorly. I also have sympathy for those who have been hurt at Daniel’s vindictiveness, but I’m not interested in returning like for like. I will be reporting facts and offering my commentary on them. It may sound strange, but even though I lost a couple of thousand NZD at his hands a decade ago, and he tried to ‘rough me up’ a little during the first investigation with a few phone calls and an amateurish failed attempt to undermine my business, my intent is not to be vindictive. My goal is to simply reveal Daniel for who he really is. I currently think that he is a highly intelligent talented individual who conducts business with seemingly high components of self-interest and some degree of deception. I’ll confirm or alter this opinion and report my findings in The Ormita Report. The end result of exposing the truth of course is that the Ormita business may have to deal with the consequences of the truth getting out there. It may be a problem for them, and I consider it highly likely that as different people compare notes, get a true picture of the Ormita business that the misrepresentations and deceptions will be harder to maintain. Daniel as the head poncho will of course need to address those issues as they arise and based on my knowledge of him and his business to date, this may be very difficult. I believe that it is best for others to determine how to use the information I find – litigation, information campaigns, business relationships or otherwise. I will be including a section that includes my personal advice to all parties involved with Daniel and Ormita, as well as a section analysing my findings from a Christian perspective/worldview. The Ormita Report website will publish shortly with a basic Questionnaire as the starting point for all communications with my investigators. The Ormita Report TIPLINE is: theormitareport @ gmail.com. thanks for the info and the warning!! !